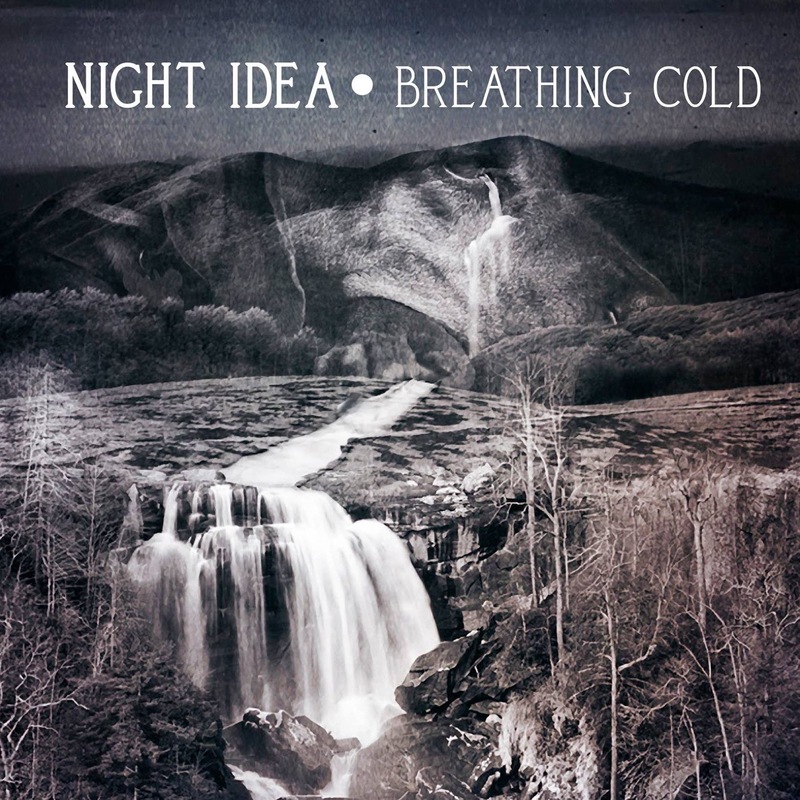 Prog rockers Night Idea have always sought to make people think and descend gently into their world with their music yet, on their difficult second album Breathing Cold, they fail to do such things. The description of the band’s ability to make you ‘descend into madness’ promises so much yet only the progressive nature of the influences delivers on this album, causing it to fall flat. At The Wheels is musically similar to Muse’s Survival, in the way the tension builds throughout the song, yet the tension seems to fade into a good but unexplosive intrumental rather than the ecstatic chorus of Muse’s offering. The heavily fuzzed vocals though are perfect for the prog rock feel to the song, and the song sets the tone for the rest of the album. It is clear that the story telling is sonically told; lyrics are minimalist, if present at all in order for the music to take you to that place whether it be one of happiness, sadness or reflectiveness. Silver Understanding is the perfect example; six minutes of bass driven music, interrupted occasionally by existential lyrics such as “know that there is truth in this world”. The only criticism of this is that it does go on a bit too long and does come off as a tad pretentious. Wild follows the same formula and comes across as an unnecessary continuation of its predecessor; in fact, it is this repetition that inflicts the whole album making it uninteresting after the groundbreaking uniqueness of the opening track. Thankfully Call provides a welcome relief; a mysterious tune created perfectly by sharp guitars, clash of the cymbals and a steady drum, all coupled with a droning, apathetic vocal. A stomping drum ushers in following track Response and, although the song sadly follows the same structure as Silver Understanding, it seems more interesting. Guitars quicken and seem more aggressive, reaching a zenith that the band fail to achieve on all the other tracks. Repeated lyrical waxings of “the last thing I need is the last thing” only add to the feel and make it the stand out track of the album. This energy is continued on Overgrown and album closer Breathing Cold, a ten minute epic stomper. The energy is unwavering on the latter half of the album, making it feel like the band saved all of it for it, scared that the whole album would tire if they dared use it from the beginning. The result is an album that will appeal heavily to some, those who believe music should challenge rather than inspire. For them, the album is perfection embodied. However, the repetitiveness of the first half and the heavy reliance on the sound makes this album uninteresting and confused. ‘Breathing Cold’ by Night Idea is out now on JuJu Records.